The Culinary Arts & and Hospitality Management students are given the opportunity to challenge themselves and prepare themselves for the future while experiencing a well designed idea of their own. The students learn communication, collaboration skills, and culinary skills and foundations. Daily, students are pushed to perform their best and demonstrate the entrepreneurial skills they have earned. Thank you to all who helped support the Pop Up Shop! 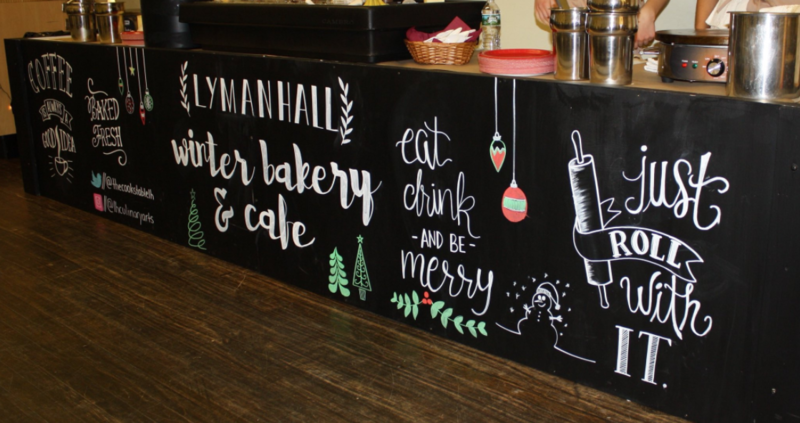 On December 9th, 2017, the students of the Culinary Arts and Hospitality Management program located at Lyman Hall High School hosted a Winter Bakery & Cafe Pop Up shop at the HUBCAP in Wallingford, CT. The outpouring support from the Wallingford community is greatly appreciated by all staff and students because it is what made the project so successful.